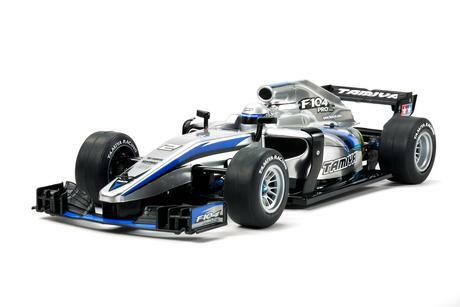 The TRF103 is a high-spec formula one chassis that takes the genre to a new level. This hi-spec 2WD formula chassis is built around carbon fiber lower and upper decks, with front lower and upper arms also crafted from carbon fiber plate. Front camber and caster angles can be altered via the upper arm attachment components. At the rear of the car, there is a choice of 2 suspension types: a link setup for high-grip surfaces; and a T-bar setup for lower grip conditions. 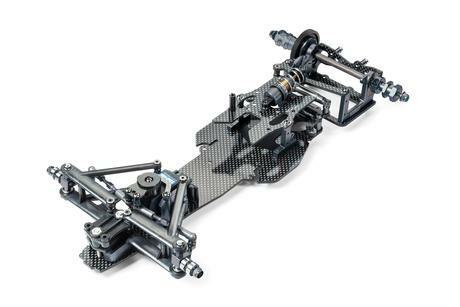 Chassis roll is regulated by individual left and right friction dampers, while changing the carbon fiber rear shaft position allows 2 different wheelbases. 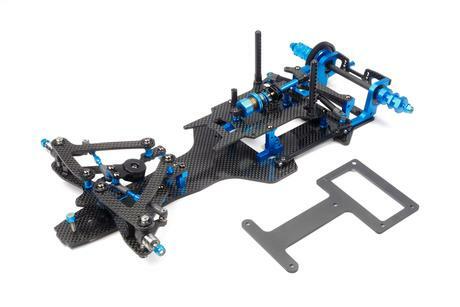 •	The kit comes with a choice of rear suspension setups: a link setup suited to high-grip circuits, and a T-bar setup for use on more slippery tracks. •	Features carbon fiber front upper and lower arms. Alteration of caster (9 or 12 degrees) and camber (1, 1.5 or 2 degrees) angles. •	Dual rear friction dampers are employed (one on the left, one on the right) to govern chassis roll. •	Rear axle position can be altered, with a corresponding change in wheelbase - standard and short settings are available. •	Compatible with F104 bodies. 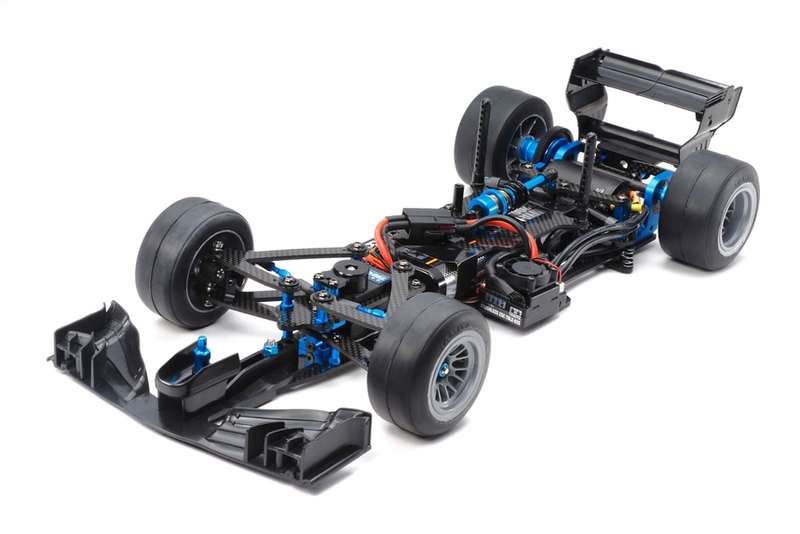 •	Requires: 2-channel radio, steering servo, ESC, F-1 body set, 7.2volt battery & battery charger.